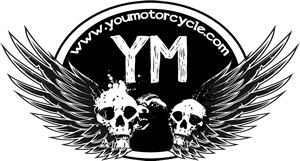 Whether you’ve been riding for what feels like a lifetime or you’re getting ready to purchase a motorcycle in the hopes of planning your first motorcycle road trip, motorcycling is a pathway to a lot of adventure. There are few things that offer the adventure of the open road and the thrill of the new like being able to take yourself wherever you want on the back of your two-wheeler! Of course, while heading out on a travel adventure is an exciting passport to all that the road can afford, there are so many options out there that it can be hard to know where to begin. Lucky for you, if you’ve been considering heading to Europe and the country of Germany for a long time, it can actually be the ideal place to explore the country from the seat of your bike! Whether you decide to go north, south or east, there are plenty of old and new things to explore in the history-rich country of Germany. As a place to begin on your motorcycling tour of the world, there are few places that offer up the natural beauty and unique history of this Western European country. Thomas Depenbusch. 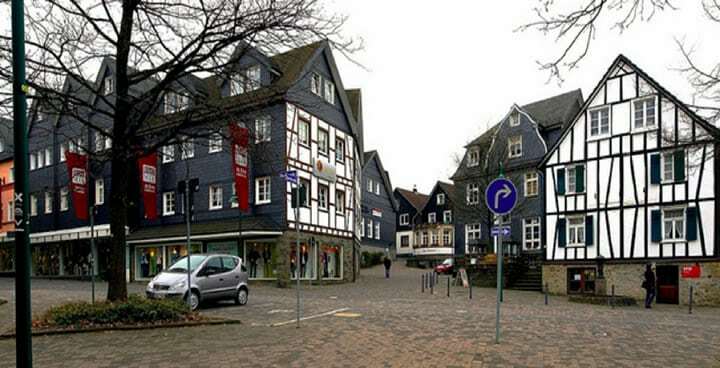 Waldbroel, Germany. 2011. Flickr.com. Web. May 25. 2018. 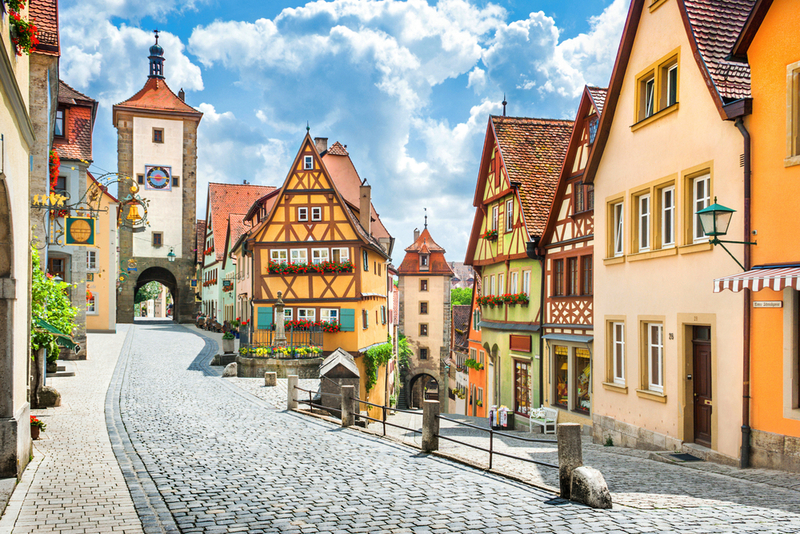 There’s a certain romance to taking a tour of an unknown country on the back of your motorcycle, but opting to travel along Germany’s Romantic Road can be the perfect way to explore this historic route and see the country at the same time. While the route known as the Romantic Road became a promotional tool for travel agents back in the 1950s, this pathway goes for 350 kilometers and provides plenty of road to travel along. Along the way, there is much of what the traveler might think of as traditional German scenery, with charming towns and picturesque outlooks, but the route is aptly named for the castles that line its way. If you’re planning to take this route in the future, the castle of Neuschwanstein is of particular importance as it served as the inspiration for Walt Disney’s famous castle in Disneyland, California! It’s more than a little ironic that ‘Rhine’ rhymes with the word ‘wine’, as this region that surrounds the Rhine River in Germany is home to many of the countries famed vineyards. As Germany’s wine country, there is plenty of natural beauty and sweeping landscapes that are perfect for taking a tour of Europe’s breathtaking scenery. Fortunately, no trip to Germany is complete without being able to make a stop among the metropolitan sophistication that comes part and parcel with Western Europe. As Dusseldorf and Cologne are located close to the area, they bring the kind of excitement that goes along with big city life. With a thriving media and fashion industry, and a place that is home to the Kolsch style of beer, experiencing the natural beauty, the vineyards and the high street of Germany is perfect for a balanced bike adventure! A motorcycling adventure along the Rhine can certainly be the perfect trip for those who want to tour the local wineries, but as most know there’s more than wine when it comes to Germany! Bavaria, a region located in Southeastern Germany, is home to Munich and the famous festival of Oktoberfest, and it’s perfect for those who want to enjoy the simple pleasure of white sausage and wheat beers. 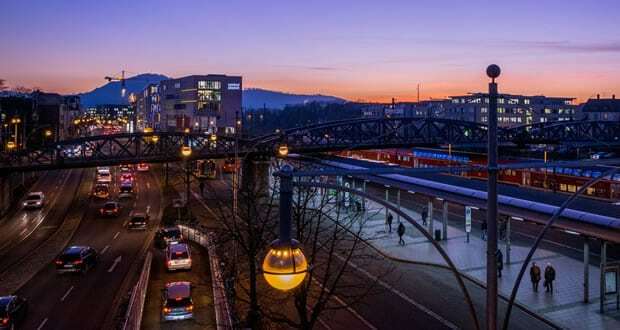 Fortunately, it is also a picturesque region that includes many of the images that are commonly associated with Germany and its alpine culture. For the new traveller who wants to experience the traditional Germany that they’ve imagined while still enjoying the thrill of the road, Bavaria can be among the best of places to begin. Given its proximity to the sea, Germany’s northern region can often be a lot cooler than many other parts of the country. However, it has the benefit of being home to much of the country’s coastline that runs along the Baltic Sea. As a result, it can be the ideal spot for a unique Northern European adventure! 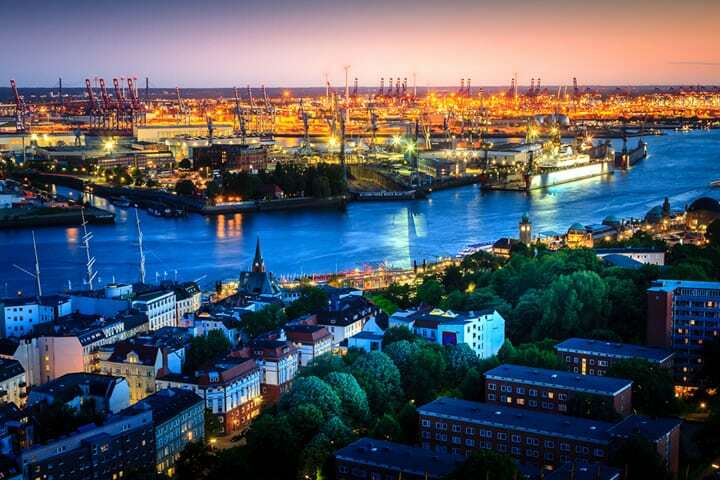 Along the way, you can also visit two of Germany’s most historic cities, the port city of Hamburg and the country’s largest center of Berlin. While Hamburg and its numerous canals make it one of the busiest ports in all of Europe, Berlin needs no introduction given its reputation as one of Europe’s most multi-faceted metropolitan cities. While this northern route offers plenty to explore and unique sites for your first motorcycle road trip, Berlin and Hamburg serve as ideal resting places where one can learn about the country’s significant history, from World War II straight through to the fall of the Berlin Wall. Whether you’re new to motorcycling or are looking for your next adventure, there’s no shortage of opportunities for adventure in one of Western Europe’s most interesting countries. While the Romantic Road is an ideal setting from which to explore the countryside, the Rhineland and Bavaria can provide a look at the traditions of the country all from the seat of your motorcycle.